In one second, viewers could see and hear Rep. Maxine Waters, D-Calif., speaking on the U.S. House floor during a hearing about Securities and Exchange Commission, and in the next, viewers heard Caribbean steel drum music to what appeared to be a story about San Escobar, a non-existent country accidentally cited by Polish Foreign Minister Witold Waszczykowski when talking to media in New York this week. Isis finds 13 pieces of Osiris and fashioned the 14th piece made out of gold. Catalina Island is 33 degrees north. It fans out and radiates. Looks like the Nile Delta and illumination. 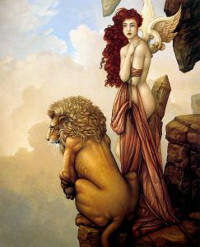 On Febuary 17, Venus marks its greatest illumination. Tomorrow, on January 17, Venus marks its ascending node. All the events that happen on Earth are repeated on Venus. The light of the Sun reaches Earth through Venus. Venus receives three times more solar light than the Earth. 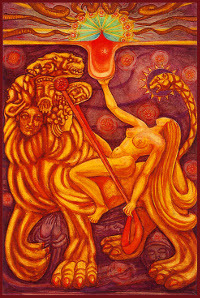 Venus is the solar light bearer. Genesis was a NASA sample return probe that collected a sample of solar wind and returned it to Earth for analysis. It was the first NASA sample return mission to return material since the Apollo Program, and the first to return material from beyond the orbit of the Moon. Genesis was launched on August 8, 2001, and crash-landed in Utah on September 8, 2004, after a design flaw prevented the deployment of its drogue parachute. The crash contaminated many of the sample collectors, and although most were damaged, some of the collectors were successfully recovered. The Genesis science team demonstrated that some of the contamination could be removed or avoided, and that the solar wind could be analyzed using a variety of approaches, achieving all of the mission’s major science objectives. The Genie of the Earth has to receive instructions from the Genie of Venus. Uriel, the Genie of Venus, is the Master of Cham-Gam, the Genie of the Earth. 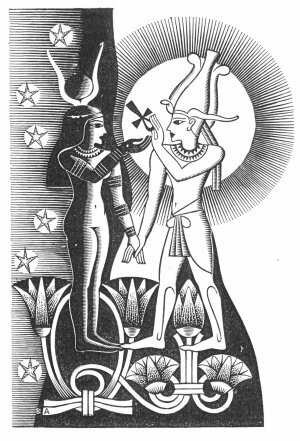 If the light of the Sun comes to Earth through Venus, then we have no other choice than to appeal to Venus in order to be able to reach the Solar Logos. The Kundalini develops and progresses by means of Sexual Magic. Sexual Magic was practiced in the Eleusinian Mysteries, along with the holy dances and naked dances to awaken and develop Devi Kundalini. There is no greater joy than love. The only way men and women can transform themselves into Gods is by adoring each other. If it is not this way, it is a waste of time. Venus is the first star that shines before the sunrise. Venus is the first star that shines when the sun sets.